One of the more interesting things to come from the British science front recently is the possible existence of a “fat gene”. Researcher’s at King’s College in London and at the University of Oxford, may have discovered a gene that controls how fat behaves in the body. This is one research project that actually could result in a “magic pill” or something similar for weight loss. However, there is still much work to be done on it, but scientists think that this gene will help doctors understand better why obesity happens and how to prevent it and treat it in those that already have it. This is actually quite a big discovery, and especially in the genetics field, which since the 70’s has been targeted towards understanding genetics and how it affects our lives. Genes work like on and off switches in our body, telling to do something, or not to do something. Genes are responsible for much of the physical and mental parts of ourselves, giving us a certain color hair for example, or a certain height. Now, there may be a gene that makes us genetically predisposed to be overweight, or in the case for some people, underweight. The study shows that one out of every three Americans carry a gene for obesity and suffer from it. Diabetes and obesity are linked, and diabetes is definitely a genetic condition. The gene, called KLF14, is responsible for forming a huge number of metabolic traits, including that one which creates our body mass index level, as well as cholesterol and insulin levels. 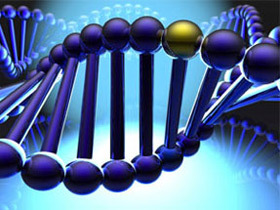 Scientists hope to use this gene to prevent conditions like obesity, heart disease and diabetes. It is not a miracle cure yet, but it is definitely a huge leap to fighting obesity with science. Of course, you can still maintain a healthy weight, and lose weight to get to that point if you are already obese. It requires knowing how many calories your body burns in a day total, your metabolism in other words, and then eating less than those calories, creating a deficit. A healthy diet that is lower in calories than you are burning, combined with an exercise program that works out your whole body, and gets your heart rate up to optimum levels will certainly do the trick, but for many people, it is a struggle to stay on track, even if they reach their goal weight.